The underground bass music scene is exploding with unimaginable sounds that seem alien in comparison to most mainstream music. One of the leaders of discovering these innovative sounds is Street Ritual Records, an independent label who is always ahead of the game, featuring some of the most prominent figures in the electronic underground. One of Street Ritual's newest releases comes from a psychedelic duo based out of San Diego who aptly call themselves 2 Guys On Acid. Comprised of the extremely talented Wyatt Hoff and Noah Willis, these guys have found a way to transform their thoughts into sound. Having long been making music just for the fun of it, both Noah and Wyatt play guitar, bass and drums. 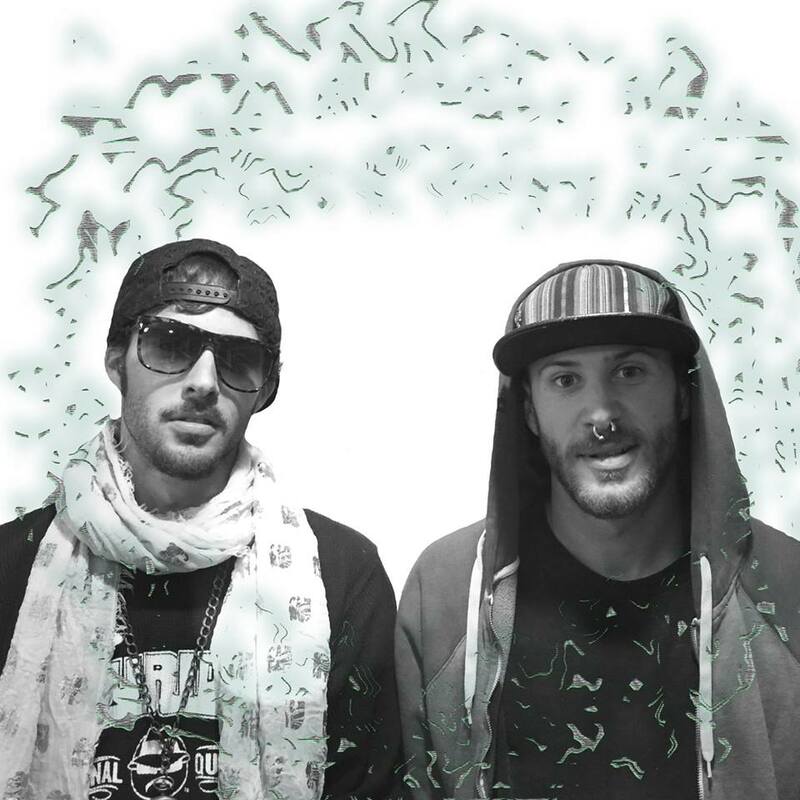 They could not keep their music a secret for long, as Street Ritual caught wind of their vibes and online publications such as YourEDM.com also picked up on their tasty tracks, stating that 2 Guys On Acid are "a welcome new addition to the West Coast bass scene." Producing their debut 4-track EP titled Full Smack, the duo creates sounds that are oozing with blurping bass, quivering beats, sticky soundscapes, and liquid melodies. 2 Guys On Acid are tapping into the infinite universe of electronic music which has become the pulse of modern day transformational music festivals. The EP begins with the mid-tempo track "Rust Storm," which pulls the listener into a gurgling wave of undulating bass. As the song progresses, so do the velvety beats and suddenly the wave turns into a quickly moving whirlpool that will undoubtedly swirl up dust on the dancefloor. After dusting off from the storm of rust, we're catapulted into the title track, "Full Smack." Not a quarter or a half, but a full smack of sound rumbles through your body in kinetic crests. At an ever-so-slightly faster BPM than "Rust Storm," this track builds the momentum of the EP as a whole. The second-to-last track cleverly titled "Rocks in a Blender" brings the momentum of the album to a peak at a deliciously glitchy 108BPM. This track is the crescendo of the album before slowing back down to 85BPM in the final track, "Fractal Paradise." Conjuring images of spirals careening through the mind's mandala, "Fractal Paradise" dips and drips with liquid sounds that are both hypnotic and dance-worthy. A glittering end to a sonic journey through the physics of music, Full Smack is jam-packed with deep layers of sound, an underlying glitch motif and beats that will wiggle your feet. Perfectly mastered and bursting with originality, 2 Guys On Acid create music that decorate our palatial walls of thought and will soon be decorating flyers of festival lineups. It is not just their sound that draws fans, but also their humble attitudes, passion for music, trippy style, and far out personalities. Full Smack is the come-up of 2 Guy's On Acid's trip: exciting, new and about to hit it its peak.